PHILADELPHIA (WPVI) -- A number of communities have declared snow emergencies due to the nor'easter, while some government offices, businesses and attractions are closed Thursday. 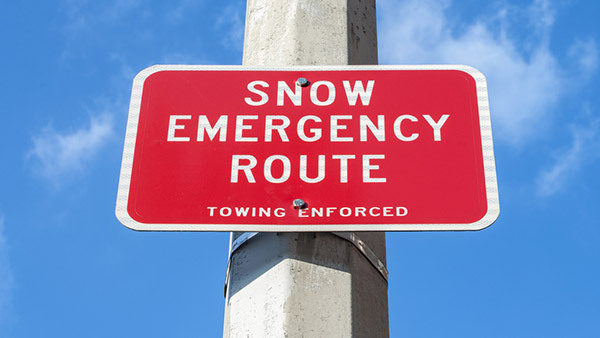 Atlantic County Office of Emergency Preparedness has issued a blizzard declaration as of 11 a.m., that includes travel restrictions on all county and municipal roadways to vehicles transporting essential personnel or those providing essential public services. -Spring City: effective 6 a.m. until 10 p.m., January 4. Also, all Cheltenham Township libraries are closed today. -Plymouth Township: effective at 7:30 a.m. until 7 p.m.
-Newark: Based on the current forecast from the National Weather Service, the City of Newark declared a snow emergency in effect until 6 p.m., and announced City offices will be closed today, Thursday, January 4. Non-emergency essential personnel should not report. Emergency essential personnel are to report as required or scheduled. -Academy of Natural Sciences of Drexel University is closing at 1 p.m.
-Chester City Hall closed. Only essential services personnel will report to work. -Philadelphia Premium Outlets - delayed opening at 1 p.m.
-Offices of Cumberland County Government will be closed for non- essential employees. All essential employees are to report to work as scheduled.